IWASSA Co.: Company "Google" restrictions lifted the ban on the use of aliases in "Google Plus"
Company "Google" restrictions lifted the ban on the use of aliases in "Google Plus"
Announced "Google" Tuesday to lift restrictions that prohibit users of the social network "Google Plus," the use of pseudonyms, and after years of demands to change this policy. The company apologized for what caused this policy for users of "unnecessarily difficult experiences," explained the reason behind this shift by saying, "The previous policy has helped to create a community of real people." 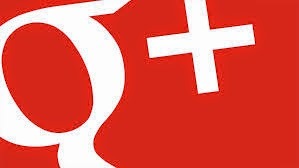 The "Google" imposed on the users of the network, "Google Plus" have launched years ago create an account using their real names, and then began to reverse these restrictions for the first page and then the user video sharing site for the company's "YouTube". In spite of this step, keen social networks, such as "Facebook" to be used by users of their names truth.